On Facebook yesterday, I asked, “Which of these 4 wines should I pop the cork on for the new featured Best Case Scenario wine?” – a lot of people chimed in. 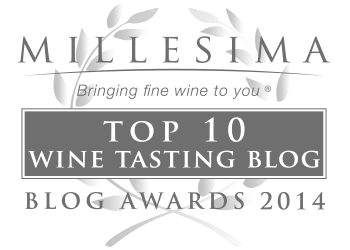 Of the four Pinot Noirs that were up for a vote, 2008 Amalie Robert Estate Selection, 2009 Johan Vineyards Estate, 2010 Atticus and 2011 King’s Ridge – Johan got the most votes. I was a little skeptical about opening the Johan, only because some recent ’09 Willamette Valley tastings proved that extra cellar time was needed. But, when Rebecca Marie Pittock Shouldis, a well-known Willamette Valley winemaker, shared some words of wisdom about Johan, my reservations about popping the cork on the 2009 vintage dissipated. I haven’t yet had the chance to meet Rebecca, but I have a feeling we’d get along really well. Not only am I a huge fan of lower alcohol elegant Pinots, just like Rebecca, but I absolutely, 100 percent, love the wines she produces for Ghost Hill Cellars – she is a stellar winemaker. So, Johan Vineyards 2009 Estate Pinot Noir is the Best Case Scenario wine I’ll be featuring for the next two weeks. I popped the cork today, shared some with my girlfriends while we were out to lunch, and saved just enough to have another glass tomorrow for a food and wine pairing I’ll be sharing in the Pair This section on WineJulia.com. Johan Vineyards ’09 Estate Pinot Noir displays vivacious aromas of bright red fruit – raspberries and cherries, with a hint of earth and spice and a little white pepper on the finish. I loved the silky, creamy mouthfeel. Lush, round and really well balanced, Rebecca was right, this is a fine example of an elegant Pinot Noir. We all absolutely loved it. As Rebecca mentioned in her comment on Facebook, Johan is blessed with a cooler site because of the Van Duzer Corridor winds. Afternoon ocean breezes flow through the Van Duzer Corridor, and temperatures are cooler at night – both are ideal for ripening Burgundian varietals, like Pinot Noir and Chardonnay. Located in Rickreall, Oregon, in the famed Willamette Valley, the Johan Vineyard property sits on 85 gently sloping acres that range from 180 to 380 feet above sea level, and is organic and Biodynamically farmed. Johan Vineyards winemaker, Daniel Rinke, learned how to grow grapes using Biodynamic farming methods in California’s Central Coast, but a love for Pinot Noir brought him to Oregon and Johan Vineyards, where he’s been the winemaker and vineyard manager since 2007. If you’ve joined in on this tasting by purchasing a bottle of your own, please leave any comments below and/or tweet about it on Twitter using hashtag #BCSJohan. I will add your comments and photos into the article and share your thoughts on this wine!